6800101 ERC16AAF YALE ERC16AAF Electrical forklift ERC. Spare Parts Catalog. Service (workshop) Manual. Operator's Instruction Manual. 6800102 ERC16AF YALE ERC16AF Electrical forklift ERC. Spare Parts Catalog. Service (workshop) Manual. Operator's Instruction Manual. 6800103 ERC16AFT YALE ERC16AFT Electrical forklift ERC. Spare Parts Catalog. Service (workshop) Manual. Operator's Instruction Manual. 6800104 ERC16VA YALE ERC16VA Electrical forklift ERC. Spare Parts Catalog. Service (workshop) Manual. Operator's Instruction Manual. 6800105 ERC18AAF YALE ERC18AAF Electrical forklift ERC. Spare Parts Catalog. Service (workshop) Manual. Operator's Instruction Manual. 6800106 ERC18AF YALE ERC18AF Electrical forklift ERC. Spare Parts Catalog. Service (workshop) Manual. Operator's Instruction Manual. 6800107 ERC18ATF YALE ERC18ATF Electrical forklift ERC. Spare Parts Catalog. Service (workshop) Manual. Operator's Instruction Manual. 6800108 ERC18VA YALE ERC18VA Electrical forklift ERC. Spare Parts Catalog. Service (workshop) Manual. Operator's Instruction Manual. 6800109 ERC20AAF YALE ERC20AAF Electrical forklift ERC. Spare Parts Catalog. Service (workshop) Manual. Operator's Instruction Manual. 6800110 ERC20AGF YALE ERC20AGF Electrical forklift ERC. Spare Parts Catalog. Service (workshop) Manual. Operator's Instruction Manual. 6800111 ERC20ATF YALE ERC20ATF Electrical forklift ERC. Spare Parts Catalog. Service (workshop) Manual. Operator's Instruction Manual. 6800112 ERC20VA YALE ERC20VA Electrical forklift ERC. Spare Parts Catalog. Service (workshop) Manual. Operator's Instruction Manual. 6800113 ERC20VG YALE ERC20VG Electrical forklift ERC. Spare Parts Catalog. Service (workshop) Manual. Operator's Instruction Manual. 6800114 ERC22VG YALE ERC22VG Electrical forklift ERC. Spare Parts Catalog. Service (workshop) Manual. Operator's Instruction Manual. 6800115 ERC25AGF YALE ERC25AGF Electrical forklift ERC. Spare Parts Catalog. Service (workshop) Manual. Operator's Instruction Manual. 6800116 ERC25VG YALE ERC25VG Electrical forklift ERC. Spare Parts Catalog. Service (workshop) Manual. Operator's Instruction Manual. 6800117 ERC030AF YALE ERC030AF Electrical forklift ERC. Spare Parts Catalog. Service (workshop) Manual. Operator's Instruction Manual. 6800118 ERC030AG YALE ERC030AG Electrical forklift ERC. Spare Parts Catalog. Service (workshop) Manual. Operator's Instruction Manual. 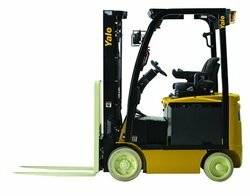 6800119 ERC030AH YALE ERC030AH Electrical forklift ERC. Spare Parts Catalog. Service (workshop) Manual. Operator's Instruction Manual. 6800120 ERC030BG YALE ERC030BG Electrical forklift ERC. Spare Parts Catalog. Service (workshop) Manual. Operator's Instruction Manual. 6800121 ERC030VA YALE ERC030VA Electrical forklift ERC. Spare Parts Catalog. Service (workshop) Manual. Operator's Instruction Manual. 6800122 ERC30AGF YALE ERC30AGF Electrical forklift ERC. Spare Parts Catalog. Service (workshop) Manual. Operator's Instruction Manual. 6800123 ERC30VG YALE ERC30VG Electrical forklift ERC. Spare Parts Catalog. Service (workshop) Manual. Operator's Instruction Manual. 6800124 ERC32AGF YALE ERC32AGF Electrical forklift ERC. Spare Parts Catalog. Service (workshop) Manual. Operator's Instruction Manual. 6800125 ERC32VG YALE ERC32VG Electrical forklift ERC. Spare Parts Catalog. Service (workshop) Manual. Operator's Instruction Manual. 6800126 ERC035VA YALE ERC035VA Electrical forklift ERC. Spare Parts Catalog. Service (workshop) Manual. Operator's Instruction Manual. 6800127 ERC35HG YALE ERC35HG Electrical forklift ERC. Spare Parts Catalog. Service (workshop) Manual. Operator's Instruction Manual. 6800128 ERC35VG YALE ERC35VG Electrical forklift ERC. Spare Parts Catalog. Service (workshop) Manual. Operator's Instruction Manual. 6800129 ERC040 RF / ZF YALE ERC040 RF/ZF Electrical forklift ERC. Spare Parts Catalog. Service (workshop) Manual. Operator's Instruction Manual. 6800130 ERC040 RG / ZG YALE ERC040 RG/ZG Electrical forklift ERC. Spare Parts Catalog. Service (workshop) Manual. Operator's Instruction Manual. 6800131 ERC040AF YALE ERC040AF Electrical forklift ERC. Spare Parts Catalog. Service (workshop) Manual. Operator's Instruction Manual. 6800132 ERC040AG YALE ERC040AG Electrical forklift ERC. Spare Parts Catalog. Service (workshop) Manual. Operator's Instruction Manual. 6800133 ERC040AH YALE ERC040AH Electrical forklift ERC. Spare Parts Catalog. Service (workshop) Manual. Operator's Instruction Manual. 6800134 ERC040BG YALE ERC040BG Electrical forklift ERC. Spare Parts Catalog. Service (workshop) Manual. Operator's Instruction Manual. 6800135 ERC040GH YALE ERC040GH Electrical forklift ERC. Spare Parts Catalog. Service (workshop) Manual. Operator's Instruction Manual. 6800136 ERC040VA YALE ERC040VA Electrical forklift ERC. Spare Parts Catalog. Service (workshop) Manual. Operator's Instruction Manual. 6800137 ERC40HG YALE ERC40HG Electrical forklift ERC. Spare Parts Catalog. Service (workshop) Manual. Operator's Instruction Manual. 6800138 ERC40VH YALE ERC40VH Electrical forklift ERC. Spare Parts Catalog. Service (workshop) Manual. Operator's Instruction Manual. 6800139 ERC045VG YALE ERC045VG Electrical forklift ERC. Spare Parts Catalog. Service (workshop) Manual. Operator's Instruction Manual. 6800140 ERC45HG YALE ERC45HG Electrical forklift ERC. Spare Parts Catalog. Service (workshop) Manual. Operator's Instruction Manual. 6800141 ERC050 RG / ZG YALE ERC050 RG/ZG Electrical forklift ERC. Spare Parts Catalog. Service (workshop) Manual. Operator's Instruction Manual. 6800142 ERC050GH YALE ERC050GH Electrical forklift ERC. Spare Parts Catalog. Service (workshop) Manual. Operator's Instruction Manual. 6800143 ERC050VG YALE ERC050VG Electrical forklift ERC. Spare Parts Catalog. Service (workshop) Manual. Operator's Instruction Manual. 6800144 ERC50HG YALE ERC50HG Electrical forklift ERC. Spare Parts Catalog. Service (workshop) Manual. Operator's Instruction Manual. 6800145 ERC50VH YALE ERC50VH Electrical forklift ERC. Spare Parts Catalog. Service (workshop) Manual. Operator's Instruction Manual. 6800146 ERC50VHS YALE ERC50VHS Electrical forklift ERC. Spare Parts Catalog. Service (workshop) Manual. Operator's Instruction Manual. 6800147 ERC055VG YALE ERC055VG Electrical forklift ERC. Spare Parts Catalog. Service (workshop) Manual. Operator's Instruction Manual. 6800148 ERC55HG YALE ERC55HG Electrical forklift ERC. Spare Parts Catalog. Service (workshop) Manual. Operator's Instruction Manual. 6800149 ERC55VH YALE ERC55VH Electrical forklift ERC. Spare Parts Catalog. Service (workshop) Manual. Operator's Instruction Manual. 6800150 ERC060 RG/ZG YALE ERC060 RG/ZG Electrical forklift ERC. Spare Parts Catalog. Service (workshop) Manual. Operator's Instruction Manual. 6800151 ERC060GH YALE ERC060GH Electrical forklift ERC. Spare Parts Catalog. Service (workshop) Manual. Operator's Instruction Manual. 6800152 ERC060VG YALE ERC060VG Electrical forklift ERC. Spare Parts Catalog. Service (workshop) Manual. Operator's Instruction Manual. 6800153 ERC065 RF / ZF YALE ERC065 RF/ZF Electrical forklift ERC. Spare Parts Catalog. Service (workshop) Manual. Operator's Instruction Manual. 6800154 ERC065 RG / ZG YALE ERC065 RG/ZG Electrical forklift ERC. Spare Parts Catalog. Service (workshop) Manual. Operator's Instruction Manual. 6800155 ERC065GH YALE ERC065GH Electrical forklift ERC. Spare Parts Catalog. Service (workshop) Manual. Operator's Instruction Manual. 6800156 ERC065VG YALE ERC065VG Electrical forklift ERC. Spare Parts Catalog. Service (workshop) Manual. Operator's Instruction Manual. 6800157 ERC070HG YALE ERC070HG Electrical forklift ERC. Spare Parts Catalog. Service (workshop) Manual. Operator's Instruction Manual. 6800158 ERC070HH YALE ERC070HH Electrical forklift ERC. Spare Parts Catalog. Service (workshop) Manual. Operator's Instruction Manual. 6800159 ERC070VG YALE ERC070VG Electrical forklift ERC. Spare Parts Catalog. Service (workshop) Manual. Operator's Instruction Manual. 6800160 ERC080HG YALE ERC080HG Electrical forklift ERC. Spare Parts Catalog. Service (workshop) Manual. Operator's Instruction Manual. 6800161 ERC080HH YALE ERC080HH Electrical forklift ERC. Spare Parts Catalog. Service (workshop) Manual. Operator's Instruction Manual. 6800162 ERC80VH YALE ERC80VH Electrical forklift ERC. Spare Parts Catalog. Service (workshop) Manual. Operator's Instruction Manual. 6800163 ERC100HG YALE ERC100HG Electrical forklift ERC. Spare Parts Catalog. Service (workshop) Manual. Operator's Instruction Manual. 6800164 ERC100HH YALE ERC100HH Electrical forklift ERC. Spare Parts Catalog. Service (workshop) Manual. Operator's Instruction Manual. 6800165 ERC100VH YALE ERC100VH Electrical forklift ERC. Spare Parts Catalog. Service (workshop) Manual. Operator's Instruction Manual. 6800166 ERC100VHS YALE ERC100VHS Electrical forklift ERC. Spare Parts Catalog. Service (workshop) Manual. Operator's Instruction Manual. 6800167 ERC120HG YALE ERC120HG Electrical forklift ERC. Spare Parts Catalog. Service (workshop) Manual. Operator's Instruction Manual. 6800168 ERC120HH YALE ERC120HH Electrical forklift ERC. Spare Parts Catalog. Service (workshop) Manual. Operator's Instruction Manual. 6800169 ERC120VH YALE ERC120VH Electrical forklift ERC. Spare Parts Catalog. Service (workshop) Manual. Operator's Instruction Manual.